I got a question on Twitter about the difference between Gracie jiu jitsu (GJJ) and Brazilian jiu jitsu (BJJ). This is an interesting question because we often hear the two terms and assume that they are both the same. While this is not entirely wrong, GJJ and BJJ, in some contexts, are separated. To answer the question, we need to go way back more than a century to when Judo first arrived in Brazil. The first japanese judo gym was opened by Geo Omori in 1909 and one of the first students was Luiz Franca. Later on, Luiz continued his study under Mitsuyo Maeda. Maeda also took Carlos Gracie as his student. Carlos then taught judo to his brother Helio, who later developed a more ground-oriented style that became BJJ. Now, we know that historically, the Gracies were not the only Brazilians who studied Judo. Franca also developed judo into BJJ and then he taught Oswaldo Fadda, whose lineage today can be traced to the Nova Uniao team, the largest non-Gracie BJJ team. The Gracies always believed that their BJJ was the best. So, in order to separate them from other BJJ teams in Brazil, they decided to name theirs as Gracie Jiu Jitsu. However, there were some frictions took place later on between Carlos and Helio on how the BJJ art should be developed. Carlos wanted BJJ to be more mainstream and therefore, he wanted to make the notion of BJJ can also be a sport than just a self defense system. Helio, on the other hand, stressed that BJJ should always be purely self defense and making it into a sport would only ruin it. Carlos passed away in 1994 and Helio in 2009, but the conflict between their children on how BJJ should be developed continued. It came to a point in which the Gracies from Helio’s bloodline stated that Carlos’ kids and their lineages must not bear the name Gracie on their schools because they were no longer self defense jiu jitsu as taught by Helio. 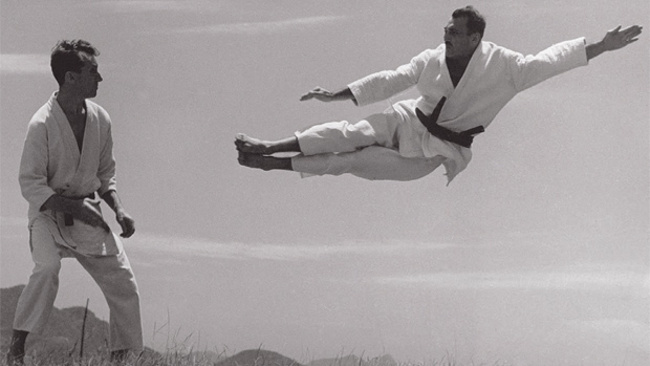 While the Helio’s always boast themselves as the self defense purists, there had been notable instances that rose the eyebrows of the BJJ community. One of those was when Rener, Helio’s grandson, decided to open an online Gracie University in which people can learn jiu jitsu and obtain belts via the internet. But this is a story for another time. Eventually, the Gracies did not let the conflict ruin their ties as a family. Carlos’ kids have their own federation and so do Helio’s but they allow each other’s lineage or affiliate schools to compete in their respective federation. Even so, according to people who have trained in both sides of the Gracie lineage, the difference of emphasize in the jiu jitsu is so apparent until now. Schools that are affiliated with Carlos kids’ lineage, for example, are often more sports oriented than self defense. Meanwhile, the Gracie Jiu Jitsu schools under Helio’s kids are very self defense oriented. In short, schools that carry the Gracie Jiu Jitsu brand or is affiliated under Rener, will always be more self defense oriented while other schools might emphasize more on the sport aspects. So whose lineage should you join? The answer to this question depends entirely on your goal in learning BJJ. If you prefer the self defense aspect, then go with lineage schools and affiliates from Helio’s kids or if you are more interested in sports and plan to compete in IBJJF tournaments, then go for schools under Carlos’ kids. Currently, I train at Arena MMA, which is under the Indonesian branch of Atlanta-based Alliance Jiu Jitsu. Alliance has a unique lineage and I am still not sure whether it is self-defense or sports-oriented. Its lineage is basically mixed between Carlos and Helio. One of the four Alliance founders is Romero “Jacare” Cavalcanti and the remaining three founders are his students; Fabio Gurgel, Alexandre Paiva and Fernando Gurgel. The history gets interesting when we traced Jacare’s lineage line. He is a black belt under the late Rolls Gracie, who was basically Carlos’ biological son but also Helio’s adopted son. Carlos had Rolls from one of his many girlfriends and because at that time, Helio did not have any children yet. So, Helio decided to adopt his nephew as his first son. Rolls’ unique position allowed him to play as peacemaker among his brothers and cousins. They also respected him because he was their family’s internal tournament champion. Unfortunately, Rolls died during a hang-gliding accident in 1982. While I do not know for sure in which side of the self-defense or sports spectrum Alliance is more heavy at due to Roll’s unique position in the Gracie family, I can tell that each class begins with a self-defense session before we go into the more sports-oriented session.